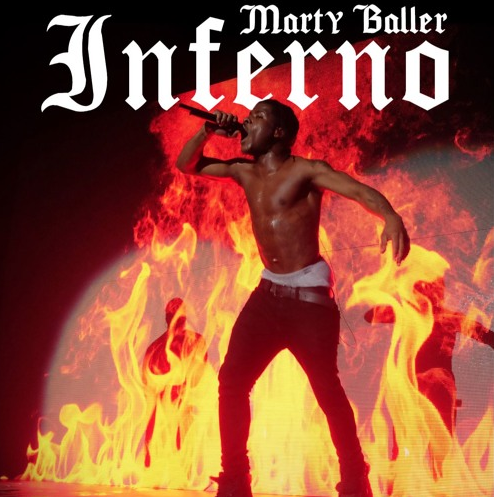 A$AP Ferg protege Marty Baller heats things up with "Inferno." Marty Baller is best known as A$AP Ferg's occasional hype man and the first artist to sign to Ferg's Trillagain Island Records. We last heard from him on Boxing Day (shoutout the Commonwealth), when he adopted a Mannie Fresh flow on "Big Timers" feat. Fergalicious. He released fresh material last night during the Oscars, a new track called "Inferno." I kept waiting for Marty to drop the Divine Comedy reference but it never happened. "Inferno" refers not to any sort of hellfire or Marty's bars, but the blast of heat coming out of his car engine/his friends guns.